Chia pudding has slowly but steadily become one of my staple breakfasts since I’ve gone vegan. 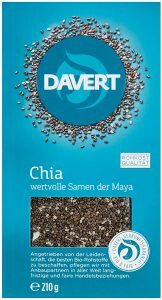 I wasn’t a fan at first because I couldn’t get the consistency right, but now I love having chia pudding for breakfast or as dessert. 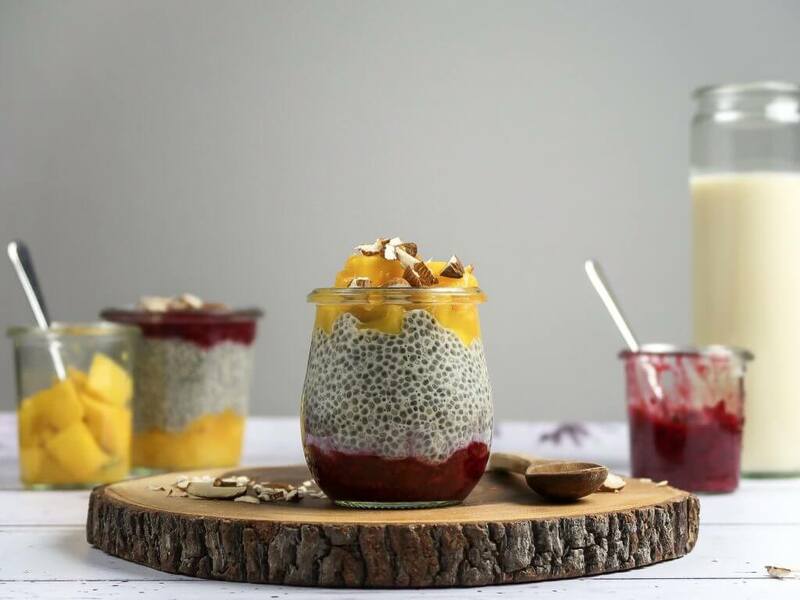 This basic vegan chia pudding recipe is made with only 2 ingredients, refined-sugar-free and you can customize it however you like! 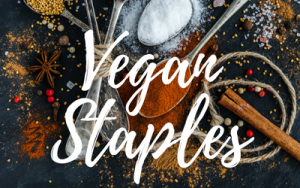 All you need to make the base for this vegan chia pudding are chia seeds (obviously..) and your favorite plant-based milk! I like to use soy milk because it has the highest amount of protein in plant-based milks, but you can use any plant-based milk you prefer. 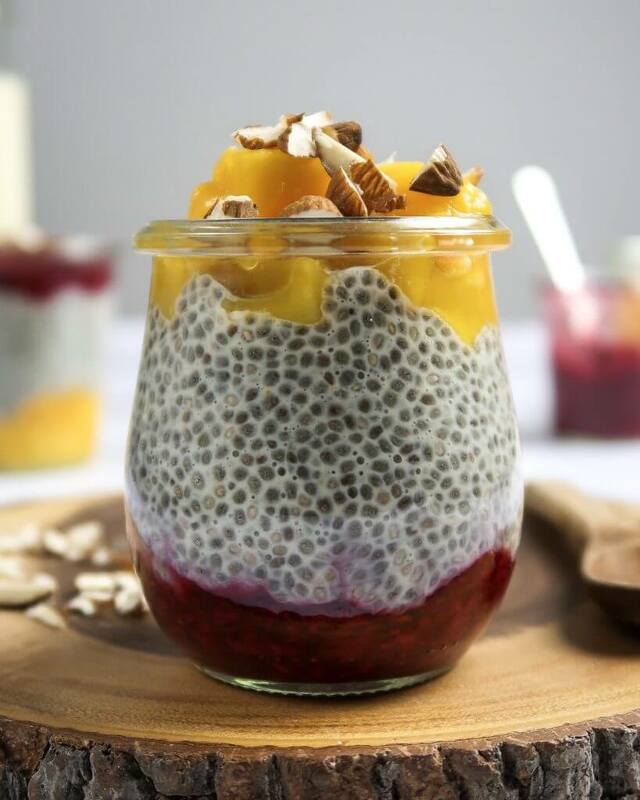 If you prefer your chia pudding a bit sweeter, of course you can add a drop of agave syrup or maple syrup. But I find that even when using unsweetened soy milk, the chia pudding is actually quite creamy and sweet so I don’t have to add any liquid sweetener. For the topping, I chose to make a simple raspberry jam. 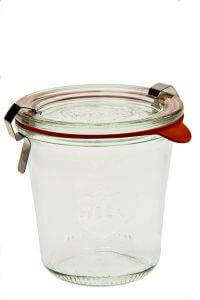 Usually, jams are cooked with a lot of sugar to get the jam-like consistency. 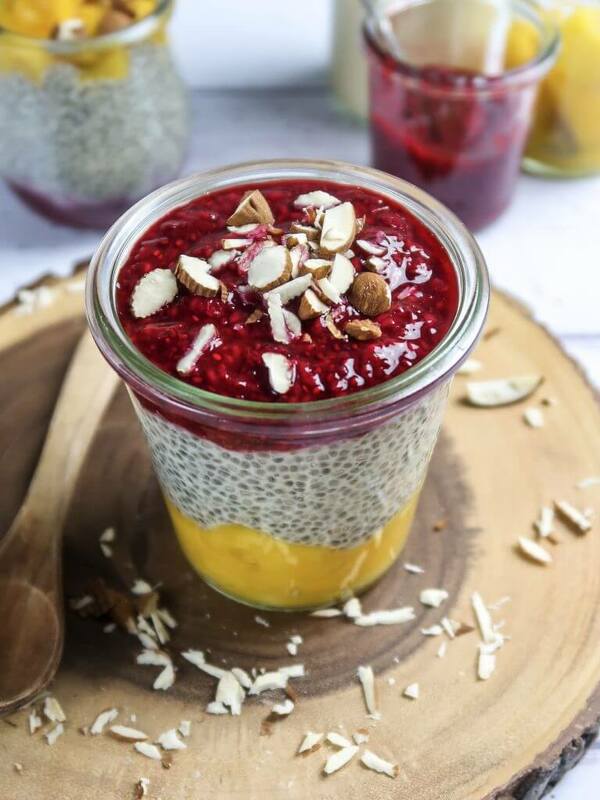 But did you know that you can also make a very easy and healthy jam using chia seeds? Simply heat the frozen raspberries in a saucepan until you can mash them with a fork, then add the chia seeds. The chia seeds will soak up some of the liquid that the frozen raspberries have released and you will have raspberry jam! You can also use any other frozen fruit. I find that raspberries/strawberries/blackberries work best. 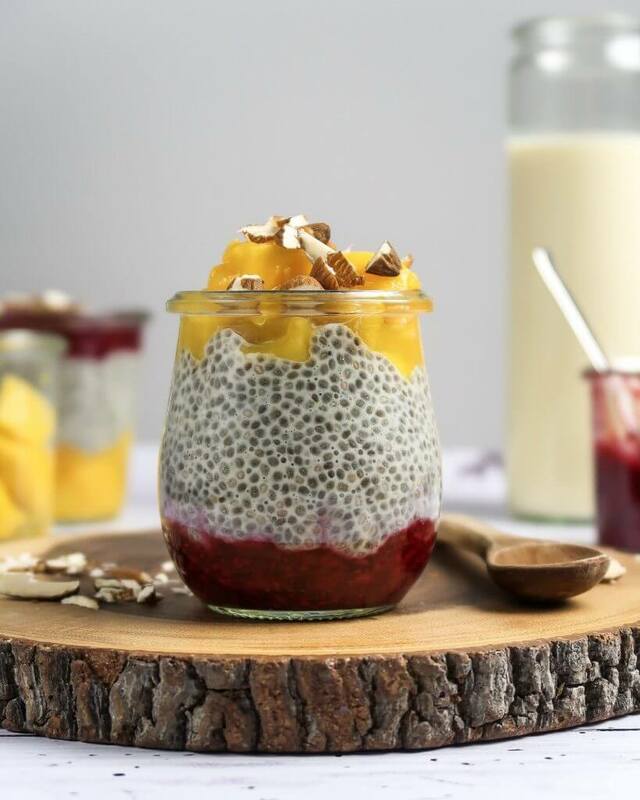 I like to prepare the chia pudding in the evening so that the chia seeds can soak up the plant-based milk overnight. Also, then I have my breakfast ready to go as I wake up. I think this vegan chia pudding is great to take to work/school or you can have it in the train or on the bus. In a mixing bowl, combine the chia seeds and soy milk. Let sit for at least half an hour, preferable overnight. 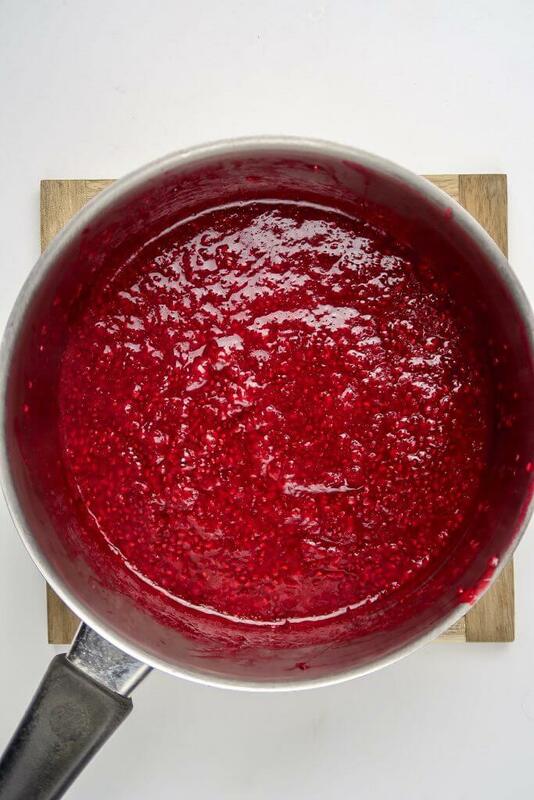 To make the raspberry jam, heat the frozen raspberries in a saucepan for a couple of minutes until soft and you can mash them with a fork. Mix in the chia seeds and let simmer for another ~5 minutes until it reaches a jam-like consistency. Thaw the mango in the microwave (if using frozen). Roughly chop the almonds. 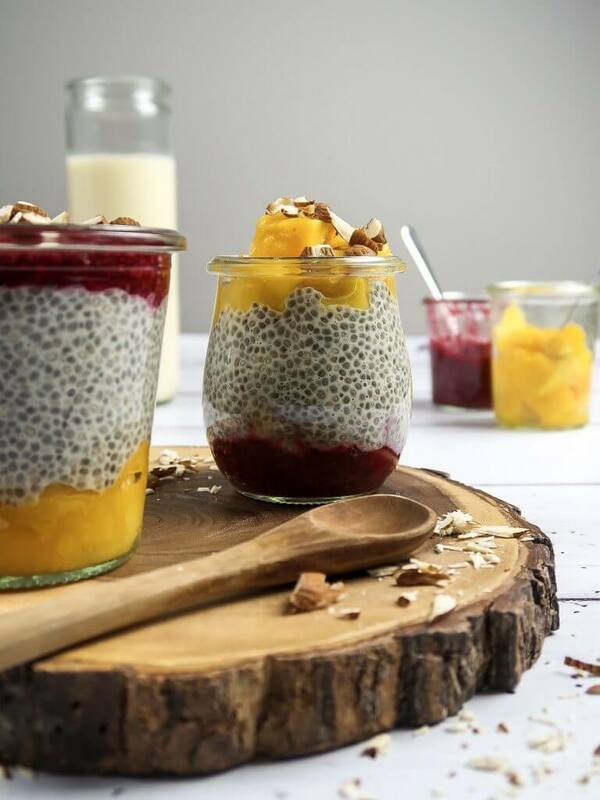 To assemble, fill the chia pudding into a glass and top with the raspberry jam, mango and almonds. 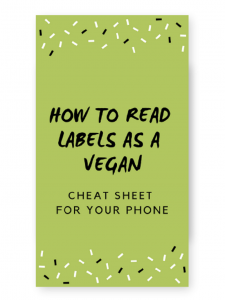 You could also use any other plant-based milk like almond milk, cashew milk or oat milk. The chiap pudding is best served cold.